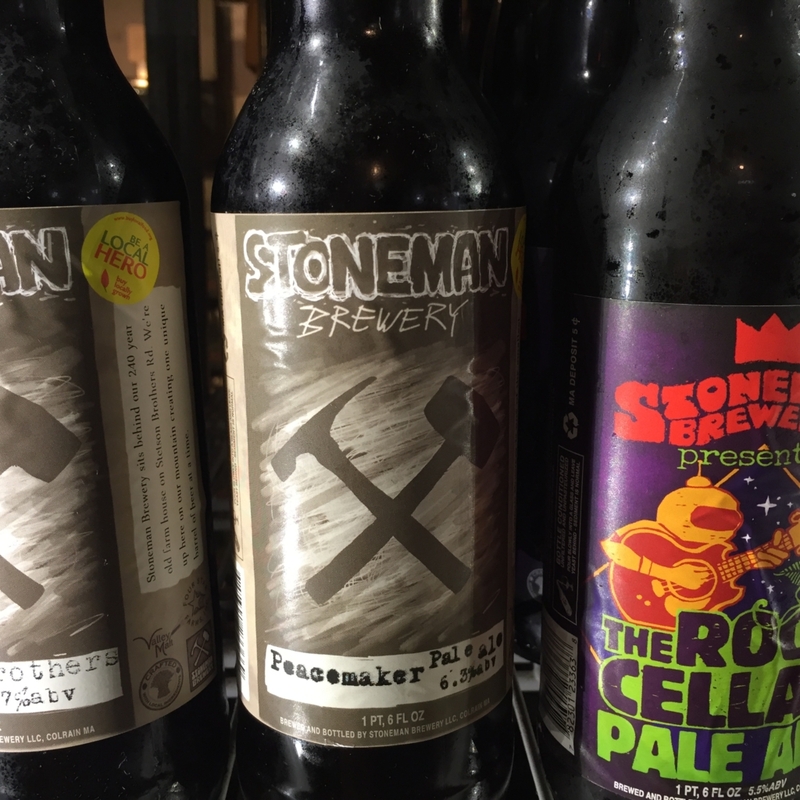 We love to celebrate what’s locally great–and so does the Beer & Wine selection at McCusker’s! The hilltown craft brewing scene is ‘hopping’ (if you’ll pardon our pun) with flavor! The beer & wine section at our McCusker’s Market location reflects the wealth of the region with a great selection of local beers and local hard ciders, featuring favorites from Lefty’s Brewing, The People’s Pint, West County Cider, Bear Swamp Orchard, Green River Ambrosia, Stone Man Brewing, Brewmaster Jack, and more. Our wines are designed to add thoughtfully-chosen, affordable flair to your next special meal, and our staff is happy to suggest pairings with our favorite local cheeses. We feature a number of organic wines as well! Whether you’re honoring an anniversary, or just happy that it’s Friday, we’d love to help you pick out your new favorite sip!